In terms of operating income and net profit, almost all banks within Sberbank Europe Group performed above expectations. Sberbank won in the categories “Best Bill Payment”, “Best Mobile Banking App”, and “Best SMS/Text Banking”. Turnaround supported by increased operating income, improved asset quality and strong focus on efficiency. The purpose is to enable the company to stabilize its business operations and to ensure settlement of trade payables in the coming period. 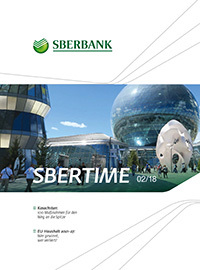 Sberbank is the only Russian brand in the Top 100 of the international banking rating.